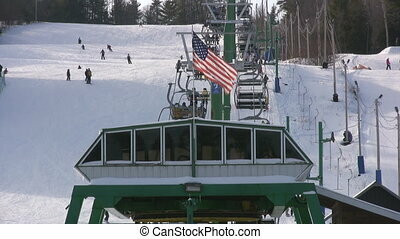 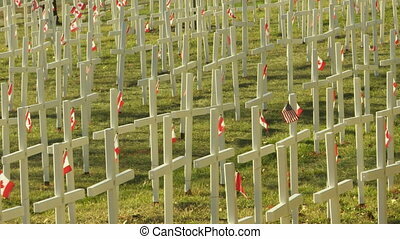 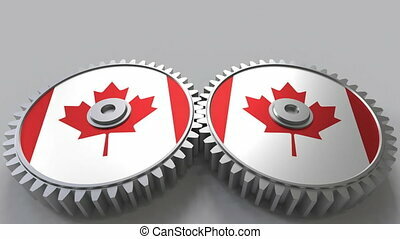 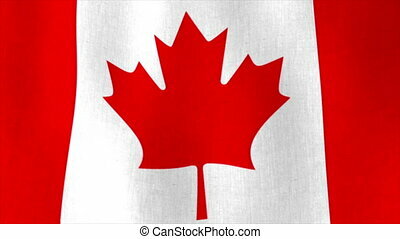 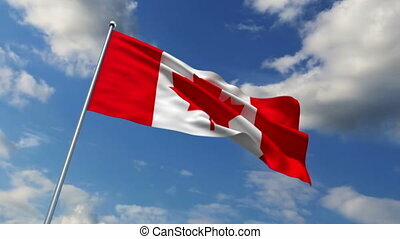 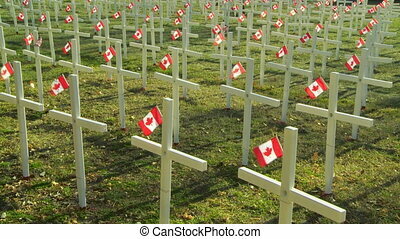 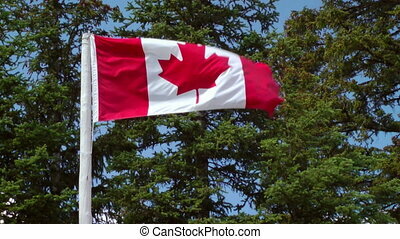 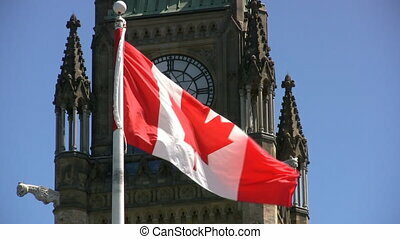 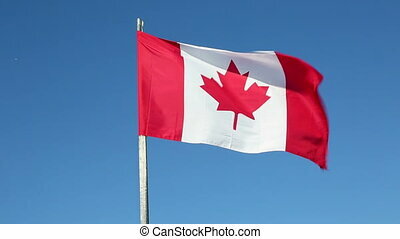 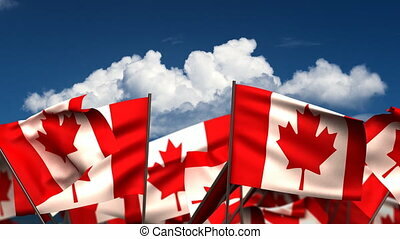 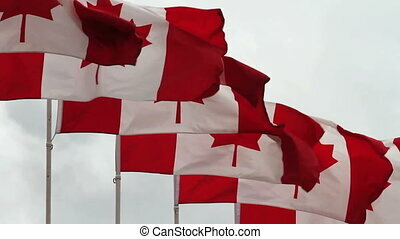 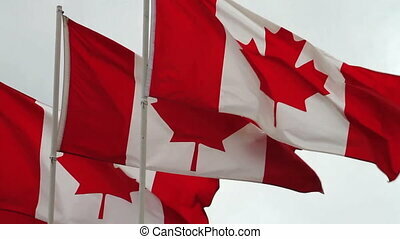 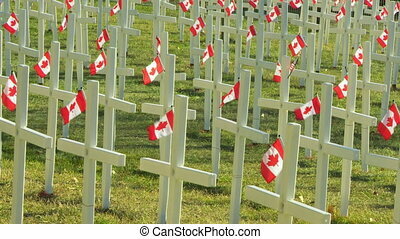 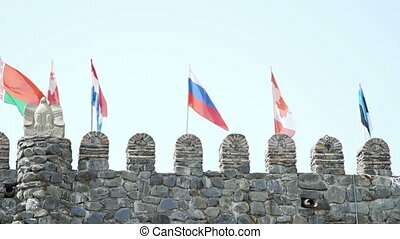 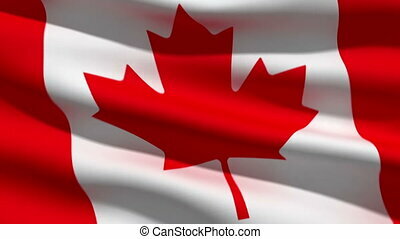 Canadian flags. 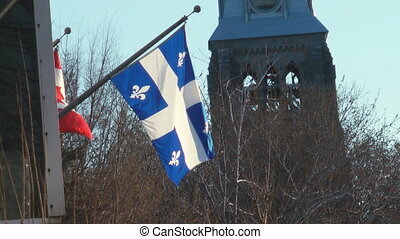 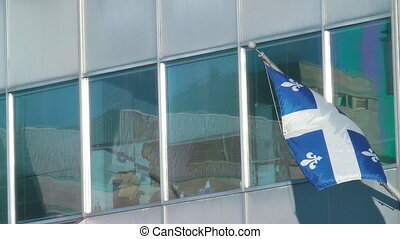 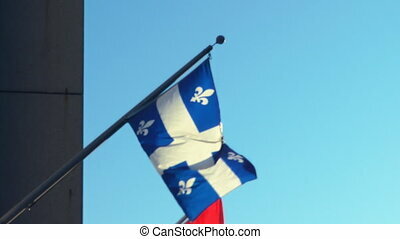 Canadian and quebec flags outside montreal city hall on rue notre dame east. 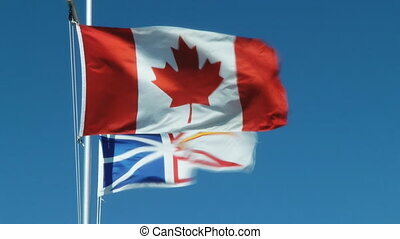 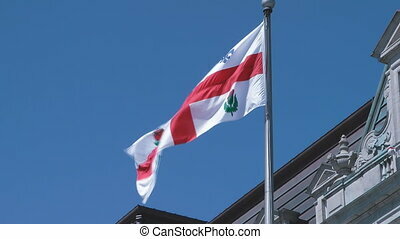 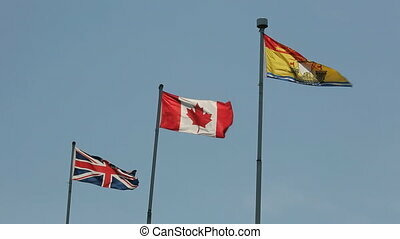 Union Jack, Canada and New Brunswick flags wave in the sun against a blue sky.